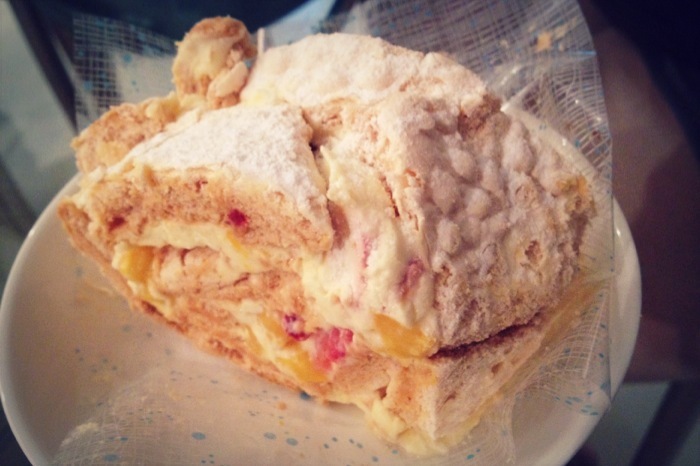 So since my little sister is back, I decided to pamper her a little and also want to try it out since it has been around for a while .. Well i do like the cakes from the Pattiser – they have been my family member’s birthday cakes for a few years and counting ..
meringue roulade: passionfruit mousse, and fresh mangoes and strawberries. I didnt think well of it .. I think by the time I brought it home, it was super nua-ed .. and like .. I think I will just stick to ordering the normal meringue cake. 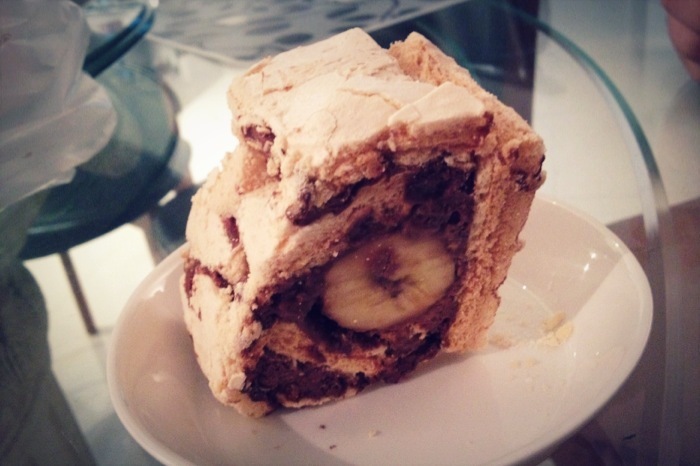 My sis also didn’t think well about the banana chocolate – i thought it was good though at least the meringue part was not soften ..
Posted on 12/01/2012 by ahballing	• This entry was posted in #Hits, @Singapore, Sweets, Western and tagged @Singapore, Dessert, Takashimaya, The Pattissier. Bookmark the permalink.